Providing window service for your business, we're not just about residential doors and windows! We're not just about residential doors and windows. We cater for commercial installations as well. As we manufacture aluminium doors and windows in our factory at Newbarn Business Park, we can supply a wide range of installations for both commercial and residential properties. From shop fronts to showroom doors, we can supply framing in a wide range of colours and designs – we can even provide automation and access control systems if required. We also cater for larger projects where multiple doors and windows are required. Topline is pleased to work with Record UK, one of the market leaders in door automation. 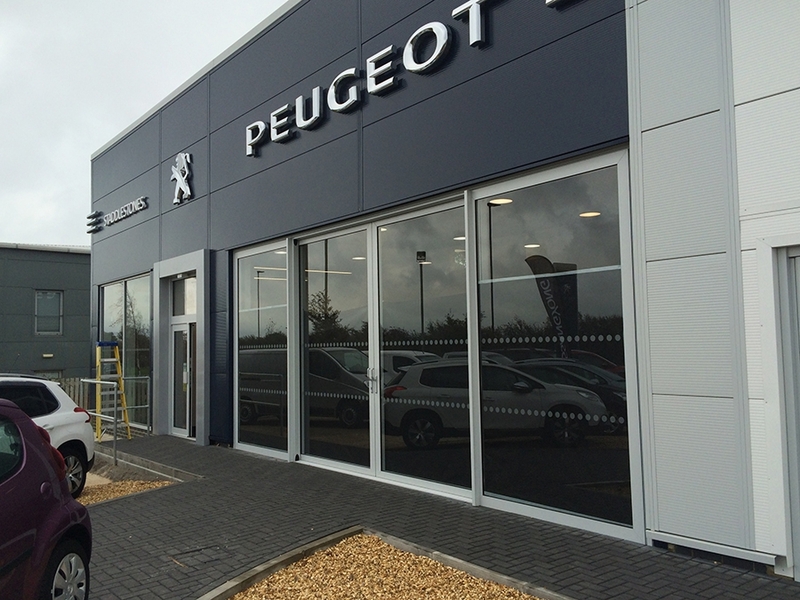 Our partnership with Record allows us to supply a complete one stop shop for aluminium shop fronts and automatic door installations across the Island.